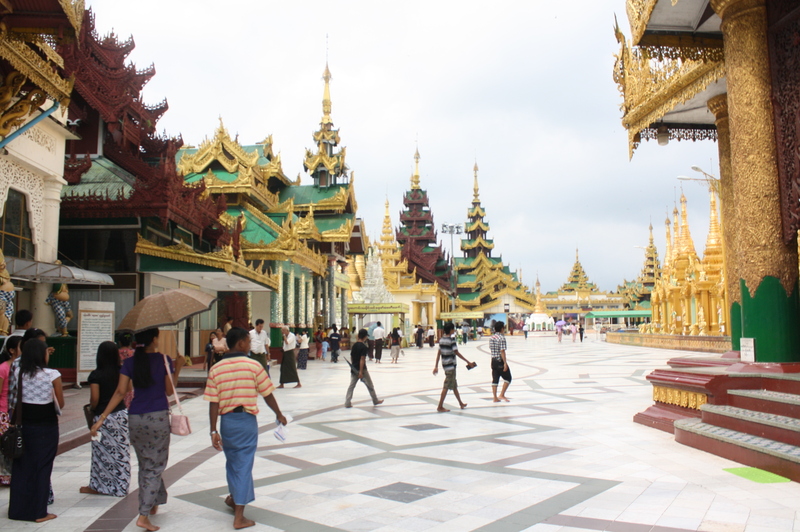 Shwedagon Pagoda is Yangon’s most famous landmark and perhaps Myanmar’s most notable temple and it’s the country’s national symbol. 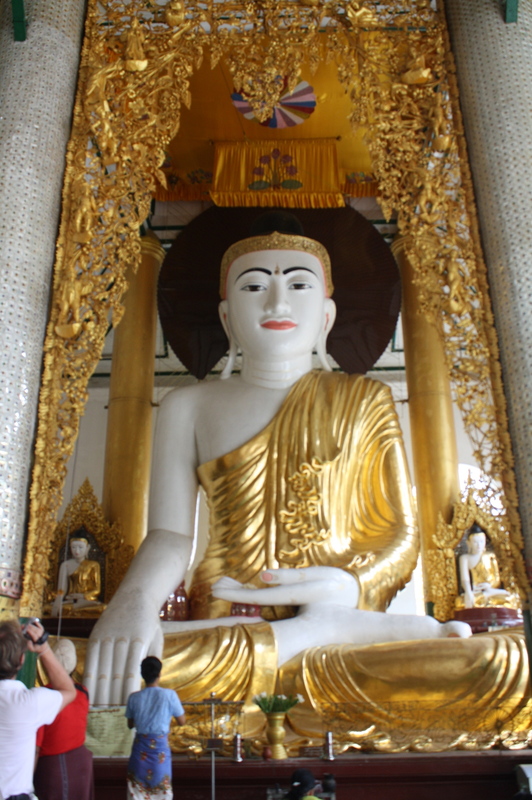 After all, the pagoda is considered the oldest Buddhist Pagoda in the world having been built some 2500 years ago. 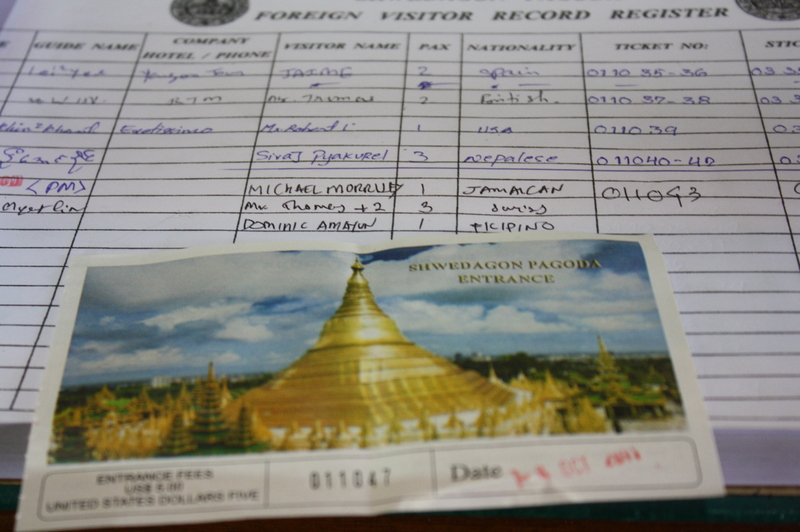 The Shwedagon Pagoda is located in Shwedagon Pagoda Road, Dagon Township in Yangon. It is easily accessible as it is in the main road. 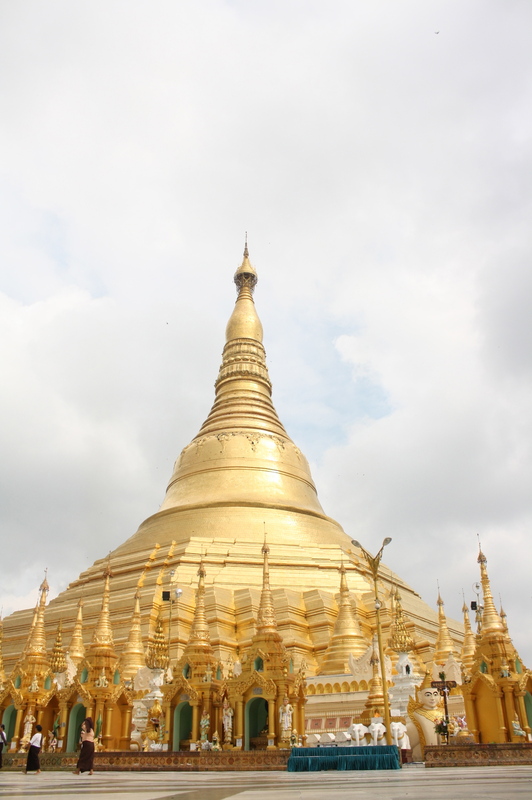 The cone shape pagoda is on top of a hill and is made of solid bricks stupa that is completely covered with gold (they are real gold plates!) and rises 99 meters high on the hill. 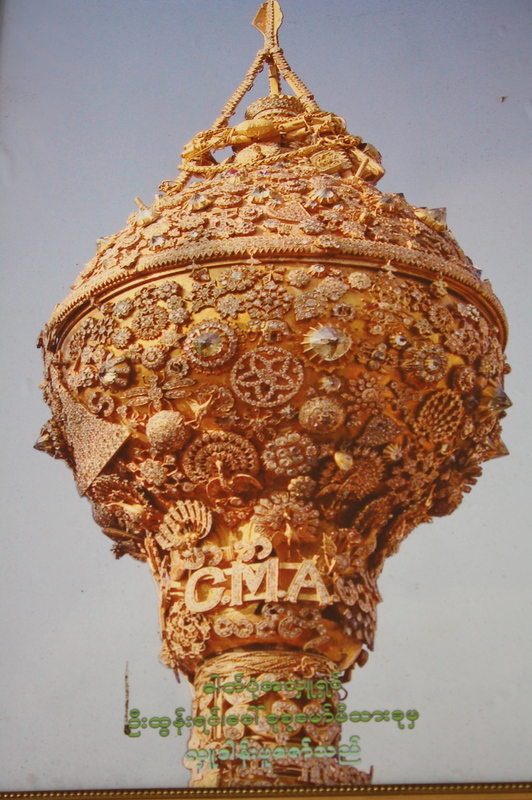 The gold plates that cover the stupa are in the size of 1 square foot each and there are 9,272 of them weighing about 5,100 ounces all in all. The 18 karat gold plates covering the entire 99 meter stupa is cleaned every 5 years. It is one way to keep it shimmering, glittering, and tantalizing. 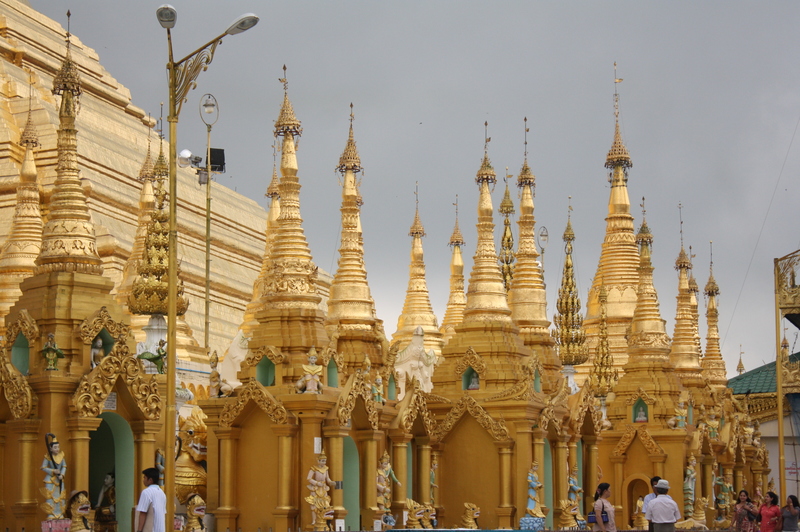 The base of the pagoda is surrounded by 64 other small pagodas of which 4 are larger than the other 60. 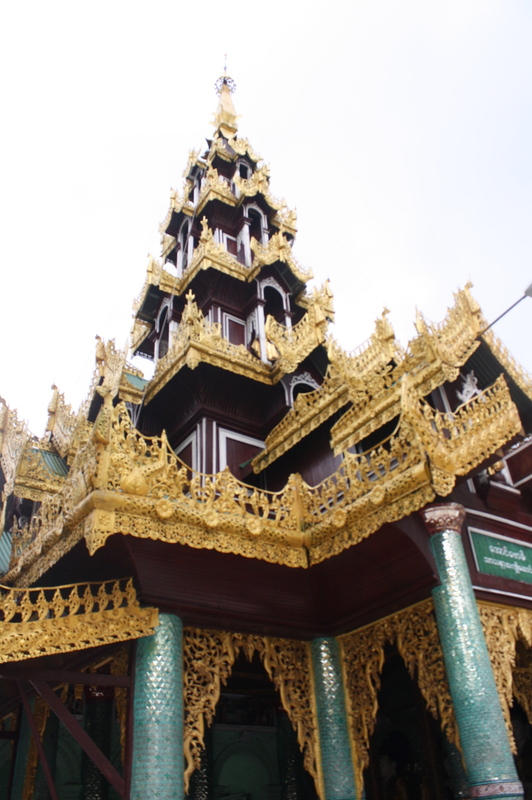 The 4 larger pagodas are strategically positioned at the center of each side of the Shewedagon Pagoda. 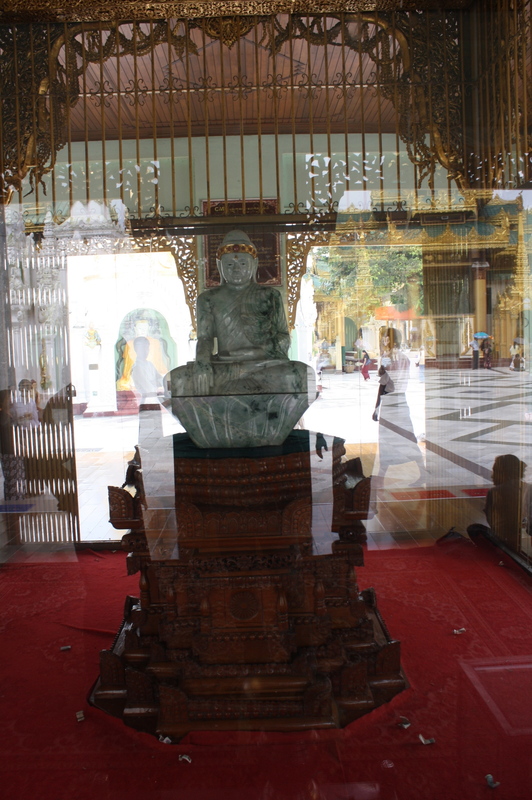 Within the Shwedagon Pagoda are over a hundred shrines and several images of lions, serpents, ogres, yogis and spirits which are displayed all around. It was simply a temple of temples. So many altars. So many images. 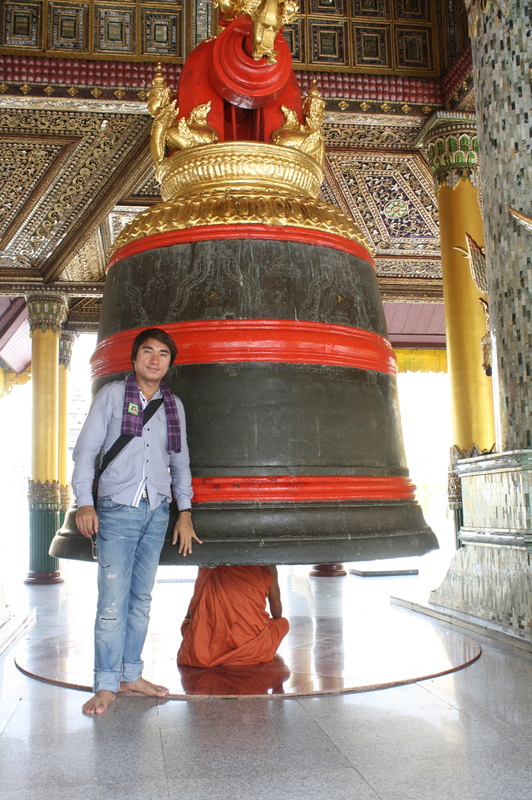 There are also some century-old bells. 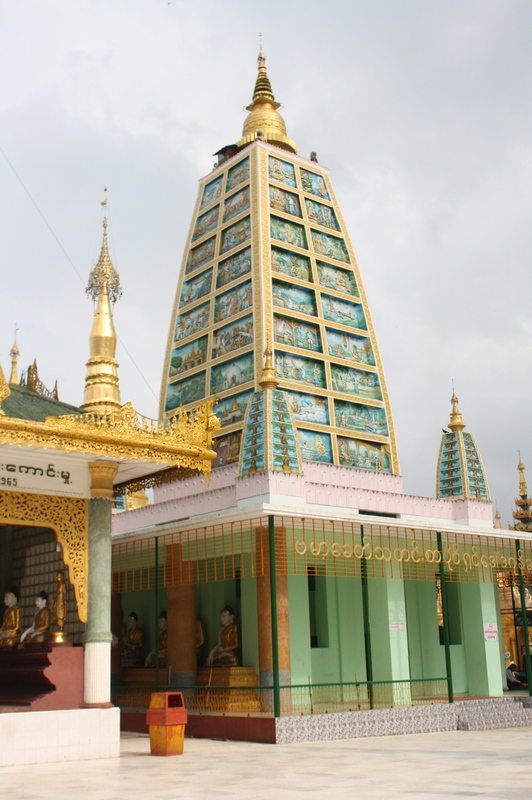 Within the temple are also Muslim inspired pagodas. There are 4 entrances available to enter the pagoda. 3 have elevators while the other entrance use escalator. Most visitors use the east Gate which uses escalator. 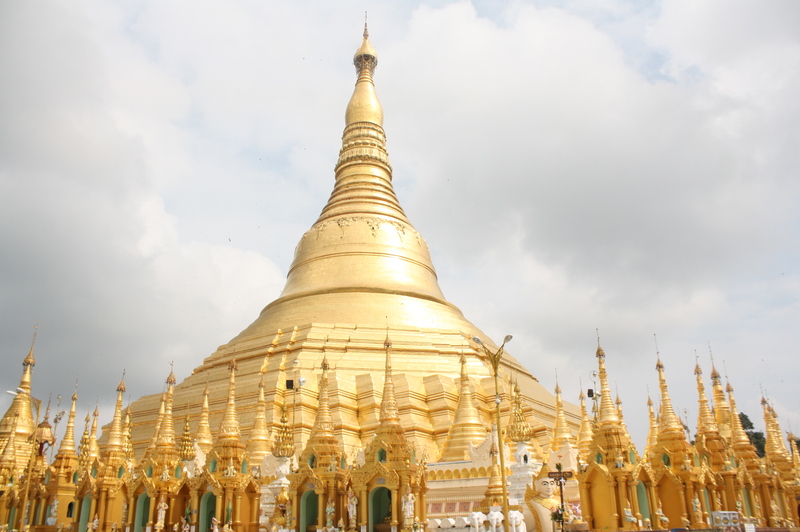 Another impressive feature of the pagoda is its tip – the highest point which has the umbrella. The vane is composed of 1,090 pieces of authentic diamonds. The crown of composed of 1,065 18 karat gold bells and 886 pieces other precious stones such as ruby, emerald and the like. Entrance to the pagoda is 5USD per person. 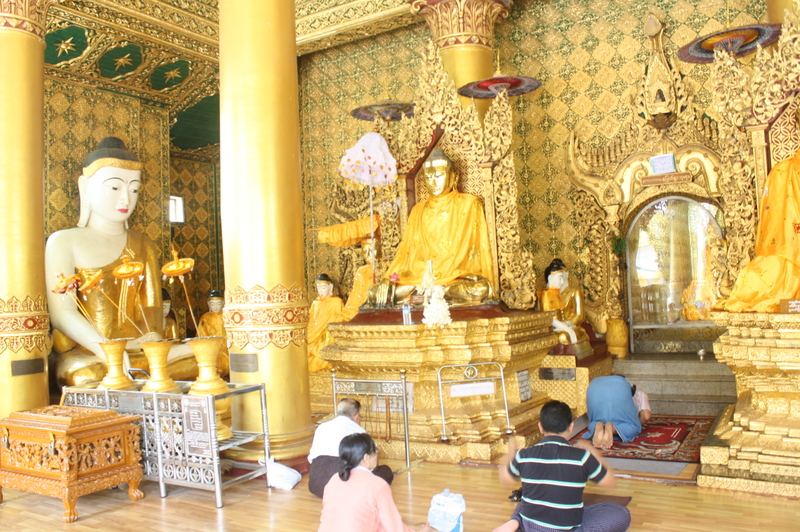 It is very affordable to experience the religious beliefs of the Buddhist in this very gargantuan temple. 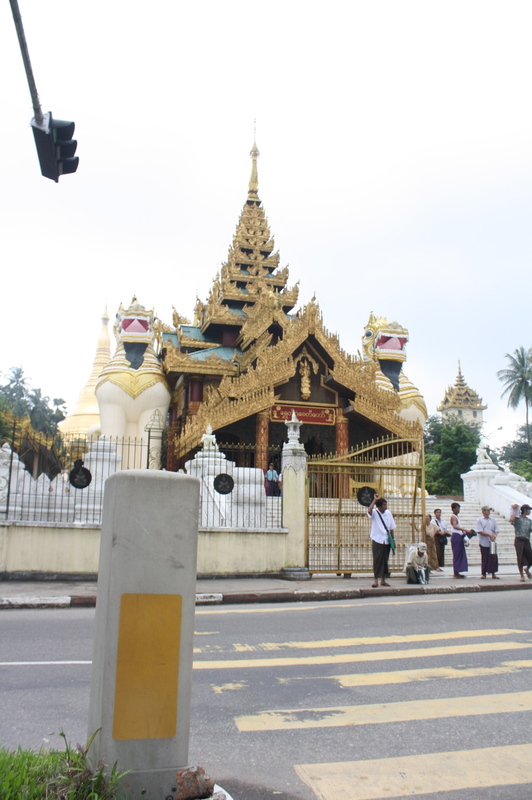 Expect lots of people everyday as this temple is the most visited one in Yangon.